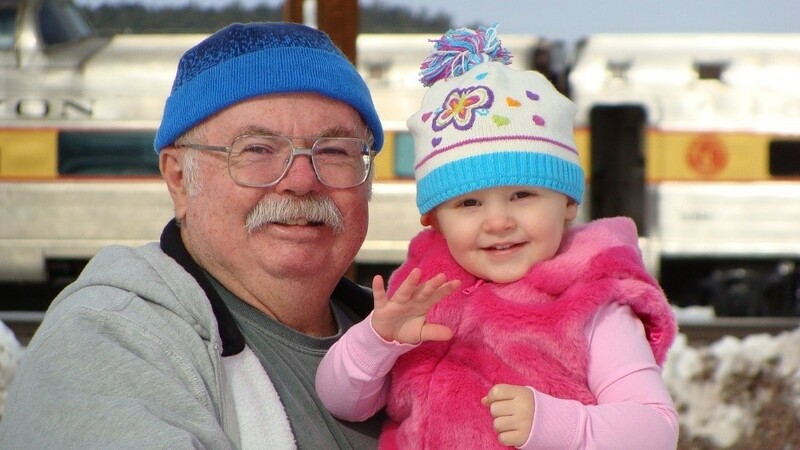 Are you a grandparent caring for your grandchild? An Aunt or Uncle caring for your niece or nephew? When parents are unable to care for their child and a relative takes on that responsibility—when family cares for family—they are often referred to as a kinship family. But what kind of resources are available? It’s difficult to navigate through the avenues of State and County resources, but our Permanency Navigator, Julius Jackson, and various Cuyahoga County workers are available to help. When searching for kinship family resources it’s important to understand the official terminology and categorization that’s used by the Ohio Department of Job and Family Services (ODJFS) and the county public child welfare agency. According to Cuyahoga County’s guides there are two main types of kinship caregivers: Informal Relative Caregivers and Formal Kinship Caregivers. You can compare the requirements for each type of Caregiver in Cuyahoga County on the Continuum of Care table. In order to be considered an Informal Relative Caregiver there is one simple requirement: the child must reside in your household through an informal arrangement (the child being in the custody of the your county's Division of Children and Family Services (DCFS) is not required). As a relative that cares for a child that resides in your home your county's DCFS will likely identify you as an Informal Relative Caregiver. There are no formal approval requirements and child welfare involvement is irrelevant when considering eligibility for financial assistance. Informal Relative Caregivers are often also called Relative Caregivers, Legal Guardians or Custodians of the child, but termination of the children’s parent’s rights is not required to be eligible for benefits. Seeking financial assistance? Through the Ohio Works First (OWF) Child Only TANF Grant, Informal Relative Caregivers can receive cash assistance (of about $282) each month to help meet the needs of the first child they take into their care, and an additional amount (of about $100) each month for every additional sibling for whom they provide care. You can apply online or by visiting your County agency for assistance. For specific concerns about the application process about benefits you can review the Ohio Department of Job and Family Services’ Program Enrollment & Benefit Information or you can call the Department of Job and Family Services at (216) 987-7000 to apply. After meeting the state requirements for consideration, caregivers have the opportunity to attend trainings. Although there are state rules that determine who is eligible to be considered to be a kinship caregiver, they are significantly less demanding than the requirements of a Licensed Foster Caregiver—which includes strict regulations, pre-service training, ongoing training throughout each year, and more. Formal Kinship Caregivers can become Licensed Foster Caregivers in order to receive greater financial assistance, as the typical rate for foster care reimbursement is higher than child only benefits. Kinship Child Care Program (KCCP) provides free child care services through a licensed provider that is contracted with the state. Kinship Permanency Incentive Program (KPIP) provides temporary financial support for children in kinship care in addition to the support provided by the OWF Child Only TANF Grant. It is designed to promote permanent commitments of kinship caregivers by helping them cover the costs of caring for the child. It provides an initial payment (of about $525) followed by payments every six months (of about $300) for a maximum of eight payments or for longer than forty-eight months. Approved Kinship Caregivers must also have an income less than 300% of the federal poverty guidelines to be eligible. For details on how to apply please see Cuyahoga County’s Relatives Raising Children page to contact an employee who can help you through the application process. To apply for KCCP and KPIP visit their website for up to date contact information. Kinship families are also encouraged to check their eligibility for other services through The Ohio Benefit Bank using the Quick Check system. This is a free and easy way to determine your eligibility for food assistance, medical benefits, federal tax credits, and other benefits you may need. Ready to start utilizing your resources? Our current Permanency Navigator, Julius Jackson is available to help you along the way. He can help put you in contact with those at DCFS who can direct you through each application process. Julius is also able to provide one-on-one support and problem solving for a variety of issues that kinship families may encounter. You can email him at Julius.Jackson@adoptionnetwork.org or call him directly (216)482-2324. For community support and live in or near Cuyahoga County, please attend Adoption Network Cleveland’s Family Ties group on the second Thursday of each month. Here you’ll have the opportunity to connect with other kinship families for peer support, and have the chance to share your experiences and connect with our Family Support Coordinators. A parent and youth group meet simultaneously and childcare for younger children is provided. A variety of social outings and educational opportunities are also available. For more detail about kinship family resources through the Ohio Department of Job and Family Services (not just in Cuyahoga County) reference the Ohio Resource Guide for Relatives Caring for Children or contact your County for their guidelines. Margaret Currie is the Grants & Donor Engagement VISTA at Adoption Network Cleveland.